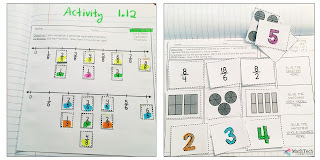 I am very selective of what interactive notebook activities my students complete, because they can easily take up too much time. In the past, I have focused on having an interactive vocabulary notebook. The students enjoyed the activities, and I loved how simple it was to manage. The activities are short and focused. I wanted to expand the choices of activities but also keep the organization. I thought - wouldn't it be cool if students could actually choose what activity they wanted to complete? A kind of choice board for interactive notebooks. So, I decided to use math menus! 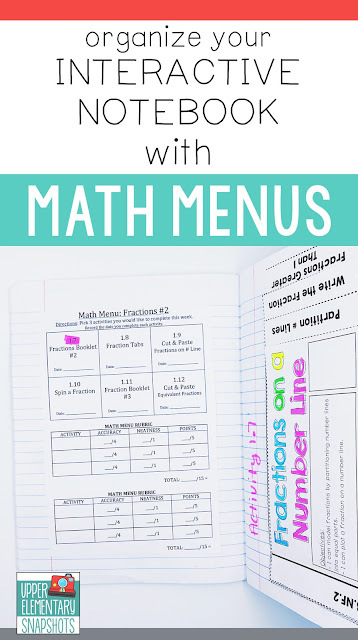 What's so great about a math menu? 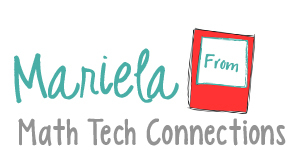 They will help students stay organized! 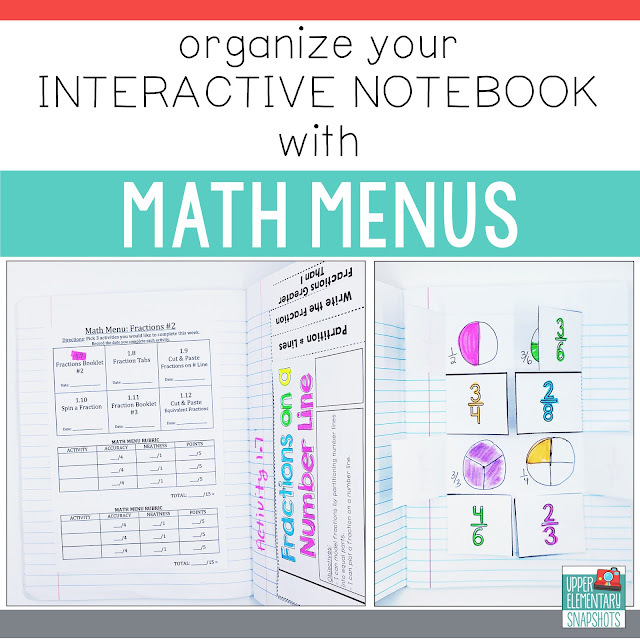 They glue the math menu at the beginning of the notebook and know what to choose from. The page has a section for 6 activities your students can choose from. 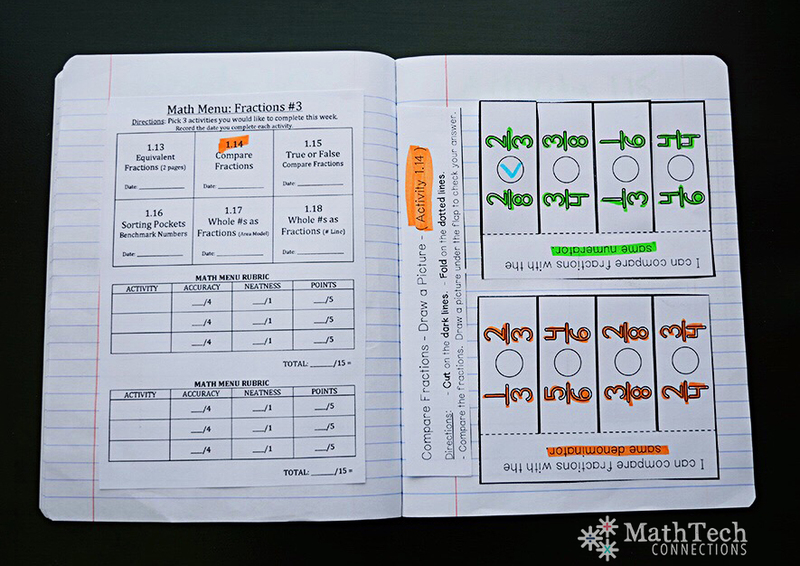 Students LOVE choices and you can differentiate by adding activities that review and challenge students. There is a rubric at the bottom that can be used to quickly grade the activities. 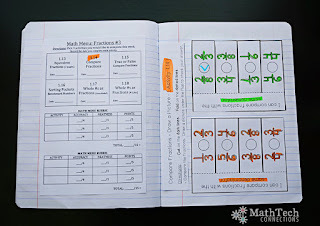 This will keep students accountable during math workshop. How do I plan to organize the activities? 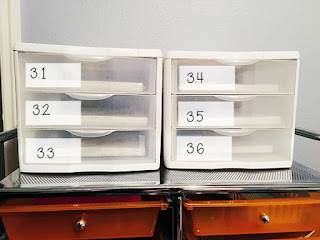 I have lots of these plastic containers and thought it would be perfect to put the activity choices in here. 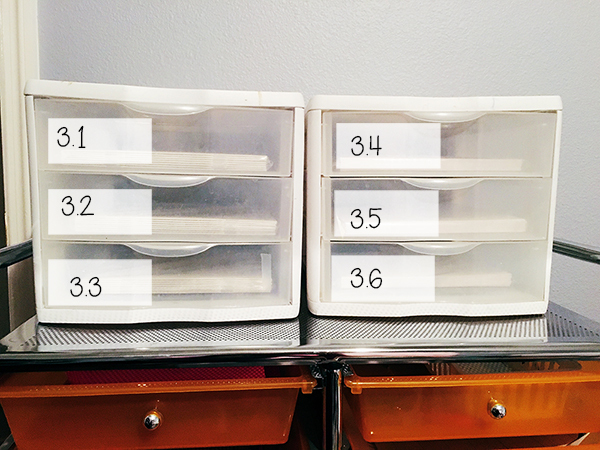 If you purchase dry-erase labels you can change the name of the activity when you switch out the pages. Sounds simple, right? 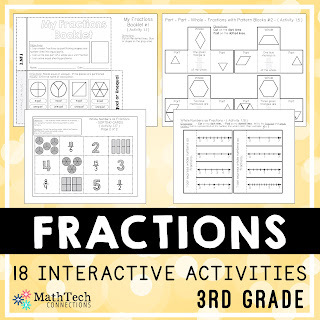 Add this station to your math rotations! 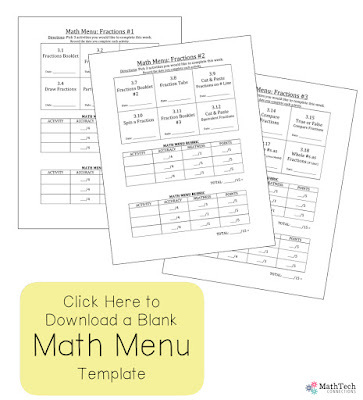 If you currently use a math workshop model, this is perfect to add to your rotations. 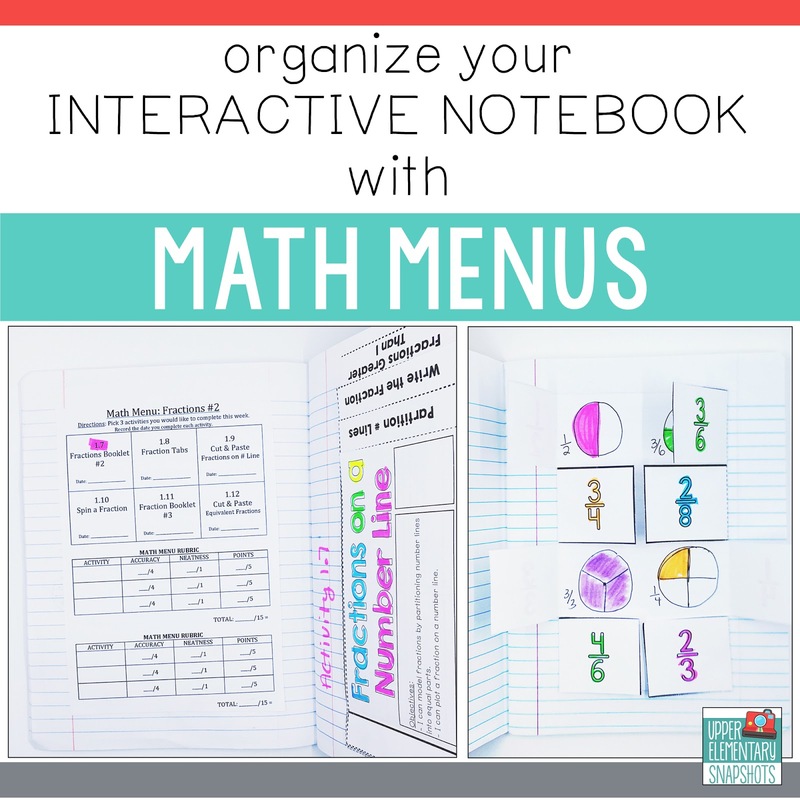 You can use the current interactive notebook activities that you have and edit the free math menu (download at the bottom). You can also view the first set I just completed by clicking the image below. If you decide to give math menus a try, I'd love to hear about it!